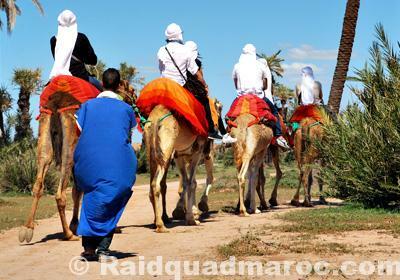 Walks a half day quad Marrakech palm grove to discover Marrakech differently! and to explore the rocky plains and mountains, in the heart of the palm. Meeting at your hotel around 9:00 for the transfer by air-conditioned minibus and / or 4 × 4, which will transfer to Lake Takerkoust for a day of quad. 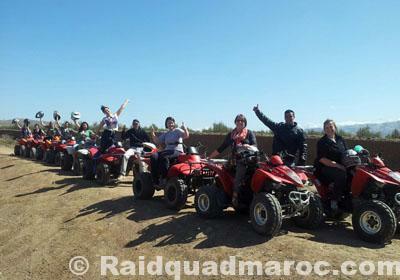 Organized raids, and customized the card to cross the authentic life of Morocco with family, friends or colleagues, you will definitely find the raid of your dreams! you will be brought to pass through many Berber villages in the vicinity, with a backdrop of stunning scenery where you will be served typical dishes. 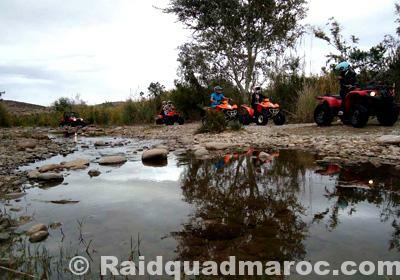 Raid Quad Morocco is an agency that offers quad excursion Marrakech contemplating all the most attractive landscapes of Morocco (The desert, the palm groves, mountains, etc.) with an experienced team and a good atmosphere guaranteed. This hike is a real discovery of the local Morocco. 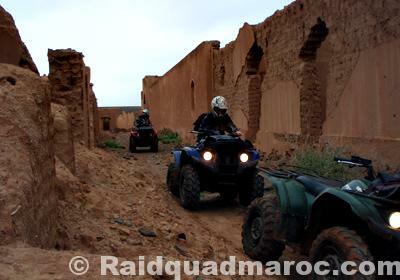 We offer outings or Raid Quad Marrakesh, customized. 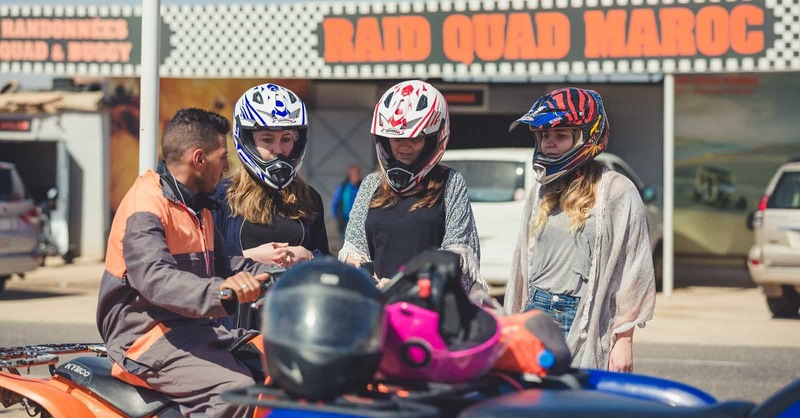 With family, friends or colleagues, you will pass the sound of engines and thrills. 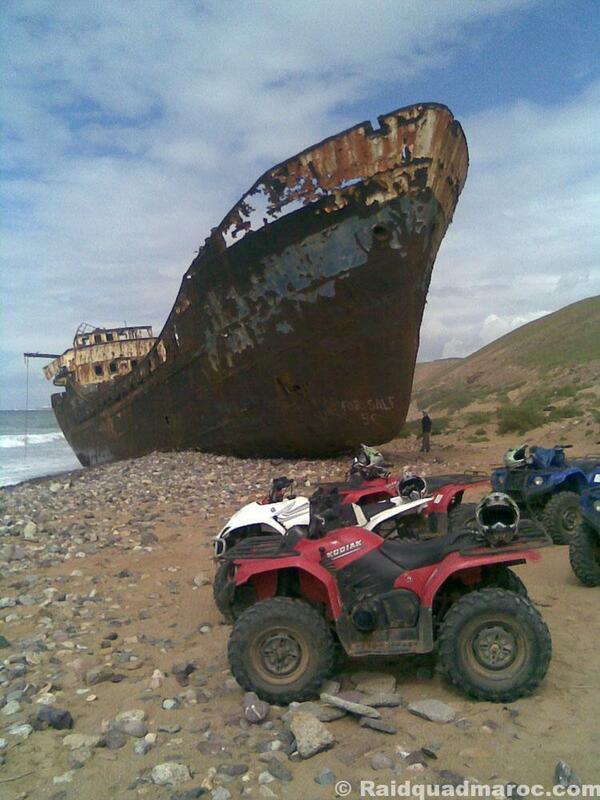 Accessible to all, beginners or experts, our hikes will delight nature lovers, motorsport and off-road cars. After a safety briefing on driving for a suitable grip to the field, you will be asked to pass through many Berber villages in the vicinity, with a backdrop of stunning scenery of the High Atlas and its snowy peaks sublime. Further, it is the magic of Lake Takerkoust where we will stop for a lunch later in a delightful setting. After lunch, return eyes full of beautiful images to the vibrant red bead. 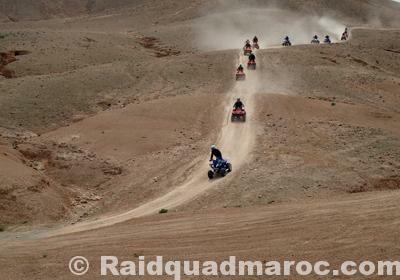 Over the dirt tracks, you will discover in Raid Quad Marrakech, Marrakech quad excursion to see the everyday and the richness of a traditional rural Morocco in a natural environment of extraordinary beauty. A break in the middle of the course will allow you to enjoy a tea with the locals. 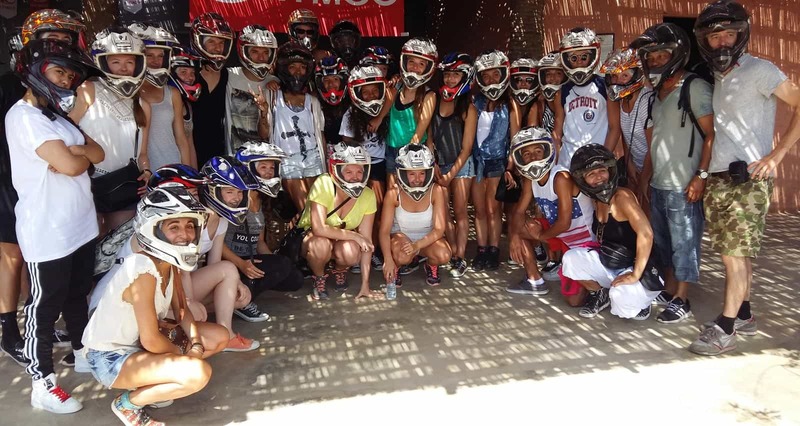 Adventure and fun will be waiting for you! 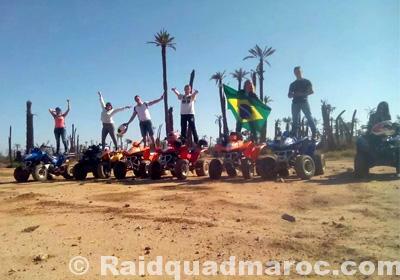 At a corporate team building incentive, discover the great outdoors that surround the “Red City” with a quad buggy or dromedary marrakech marrakech, many activities are offered to employees in order to strengthen cohesion within the team and create a favorable environment for work.You’ll spare your mount and open your eyes wide to enjoy the magnificent views that will offer you at this seminar quad marrakech palm grove.